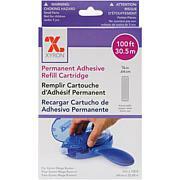 XYRON-Tape Runner Permanent Adhesive. Applies permanent acid free adhesive. Precise application, dot pattern, easy load refill, no gummy mess. Will adhere to most clean surfaces. Easy to use and non- toxic. Measures 1/3 inch thick and 40 feet long. Imported. This is one of the most expensive adhesive I have ever bought but I bought it anyway because of the 5 flex. It did not disappoint. It adheres really well, and, like Beth Kingston said, works great with word dies since the adhesive only ends up on paper and not the spaces in between. I would probably buy more in the next craft day if it's on 5 flex again. I initially bought 2 of these 40 feet tape runners, ad at the last craft day I bought the large one with 100' I know rebuying is the highest review. It works so easily, no sticky fingers, so easy to use. Thank you. The best adhesive for paper crafting! I'm done with the tape runner adhesives I was buying at my local craft store. They are defective, or I can't find refills or simply don't hold as well as Xyron! These are the best. 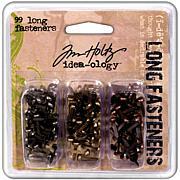 This product is excellent for smaller pieces and areas. 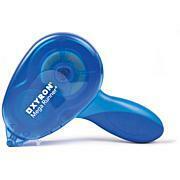 I can always count on Xyron products and have not hesitated in buying them. Great value as a bundle with the Mega Runner. I count on HSN for Scrapbooking Values!!!! KAREN FOSTER-Scrapbook Kit. Create scrapbook layouts, cards, and other paper crafting projects with this coordinating collection. This package contains Classic Grandparents: eight 12x12 inch sheets of paper and two 9x5-1/2 inch sheets of assorted stickers. Made in USA.